Ah Kodak. Remember the glory days? As its patent auction rumbles, Kodak has decided it might hang on to its 1,000-strong patent portfolio after all. The company released a statement saying that it hasn't actually decided whether to sell up or not, despite needing the cash to pay bankruptcy costs. Kodak doesn't explicitly state this is because the auction isn't exactly hitting heady new financial heights, but given reports of low offers and an extension of the auction deadline we imagine that's got something to do with it. The statement reads, "[Kodak] has not reached a determination or agreement to sell the digital imaging patent portfolio, and may retain all or parts of it as a source of creditor recoveries in lieu of a sale if it concludes that doing so is in the best interests of the estate." The closed auction is all being conducted out of the public eye, with Kodak not required to make bids known until a winner is decided. 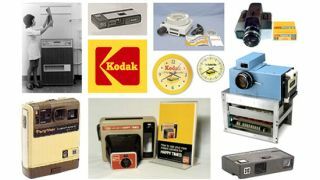 But initial leaked reports suggested that Apple and Google were among companies bidding for the digital imaging portfolio, with offers coming in way below the $2.6 billion (£1.7 billion) Kodak was hoping for.